Light up your love life with our premium gift box starring 24 long stem red roses! 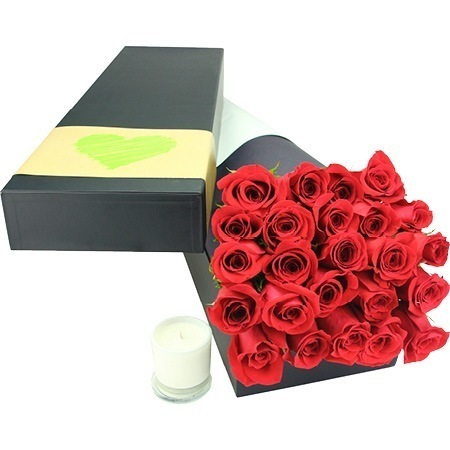 These 60cm Colombian red roses are delivered in Flowers for Everyone`s stylish presentation box, and come with a candle that will remind your sweetheart of your loving gesture everytime they light it. So very romantic!